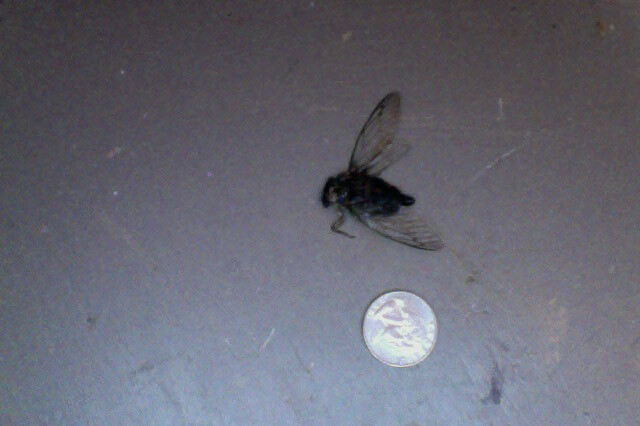 This is what my kids thought was the biggest fly they had ever seen. We have no idea how it got in the house. All the windows were shut. Thanks for sending in the photos. I can tell by the remains on the right that the species of cicada is that of Tibicen canicularis. Yeah, cicadas are often confused as giant flies. But cicadas are not even in the same family as flies. Typically, cicadas are harmless and while they have mouths it is not designed to bite, pinch or sting. I received an email several years ago from a person who had a cicada emerge on an Aloe plant in the middle of October inside her house. This was because during the summer months over several years, this same plant is brought outside and only brought in during the winter months. The emerged cicada no doubt found its way into the soil of the Aloe plant when outside. It developed over several years. Quite an amazing story really. I wonder if this same thing may have happened to you. Are your plants kept outside during the summer then brought in during the winter? 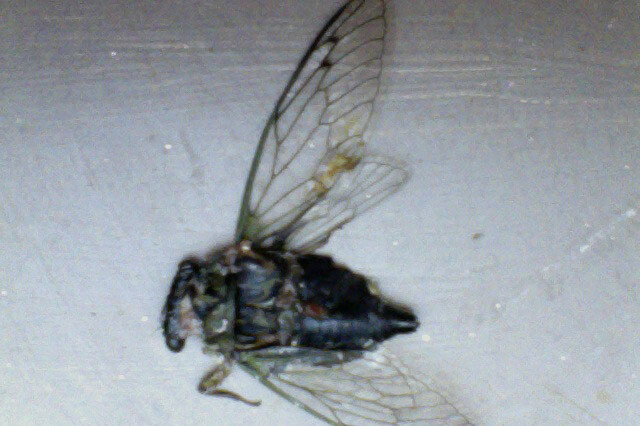 Thanks for sharing the smashed cicada.